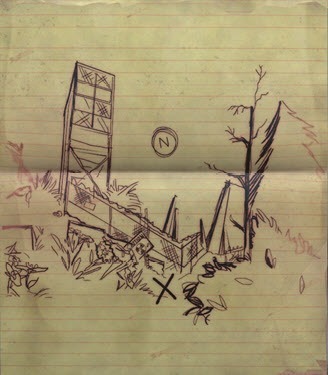 After you’ve found all the treasure locations in the Forest treasure maps, now it’s time to carry on your journey to the next location of the treasure maps, the Savage Divide. 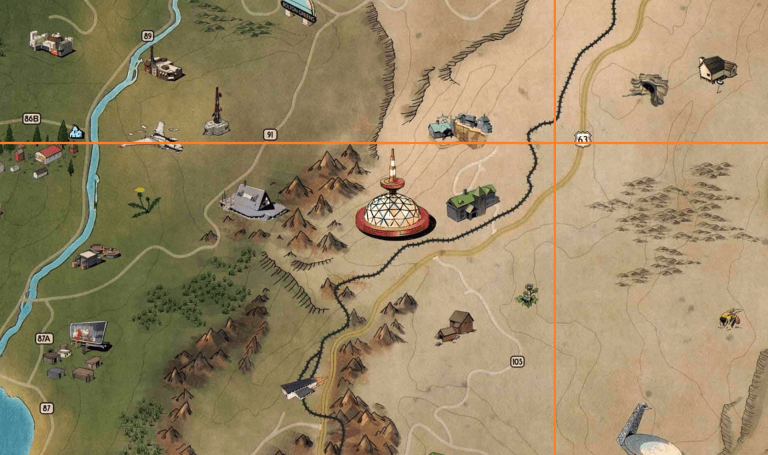 Same as the treasure maps located in the Forest, the treasures in Savage Divide Maps will give you a variety of loot such as armor, crafting plans, aid, ammo etc. 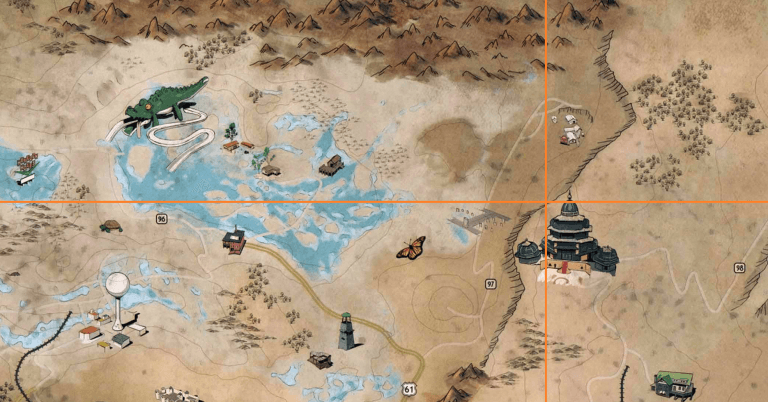 So, let’s start the journey to find all the treasures locations in the Savage Divide treasure maps! 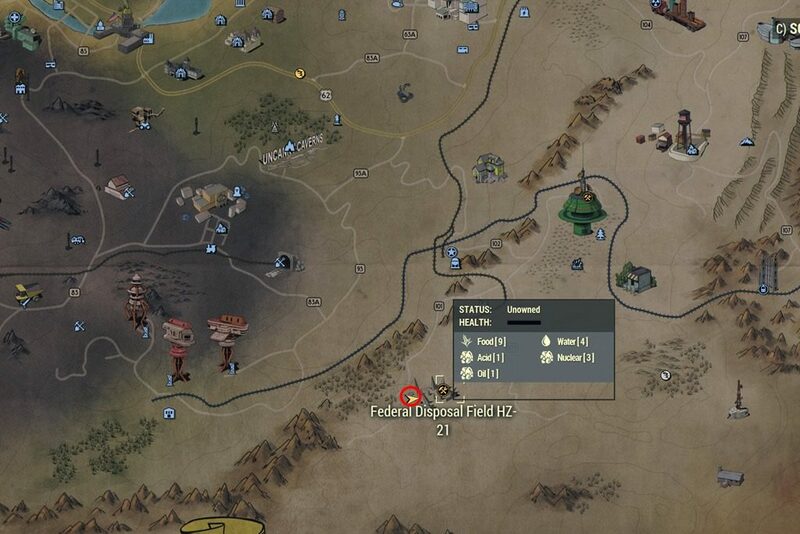 The first treasure in the area should be inside the Federal Disposal Field HZ-21, in the south corner of the Savage Divide region, next to the nuclear waste sign to the right. 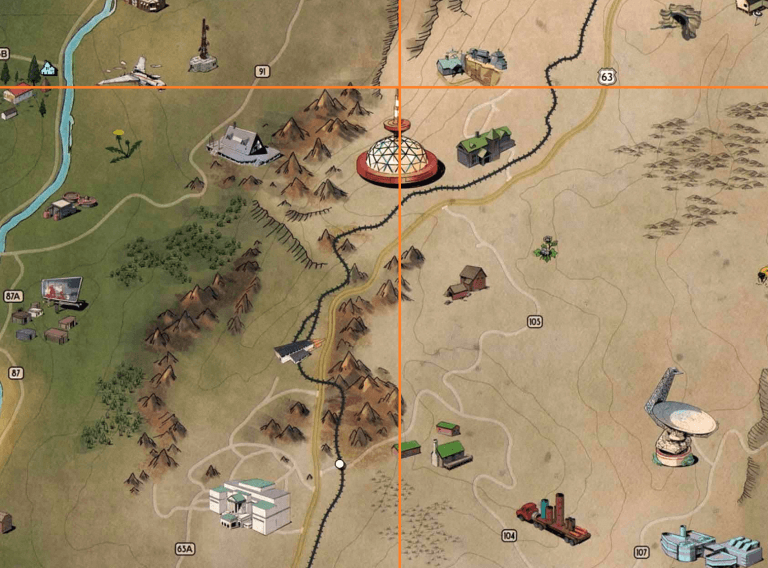 The second treasure in Savage Divide should be located somewhere near the New Appalachian Central Trainyard. 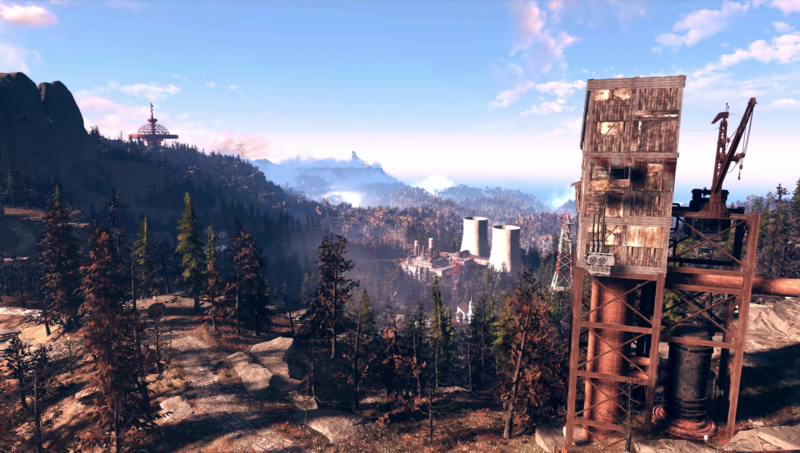 As soon as you reach the outskirts of the Trainyard, head towards the big power transmission line to the left of the railway. You will find a mound in the dirt between the red and blue colored train cars. 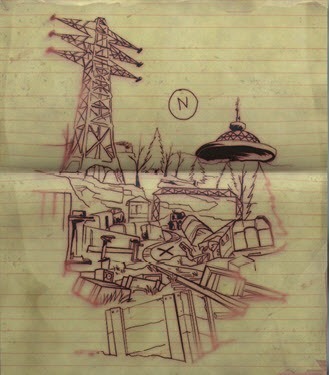 The third treasure should be north of the dome, near the big power transmission line of the previous treasure. Head towards the ski lift from the dome, and then climb downhill, following the ski. 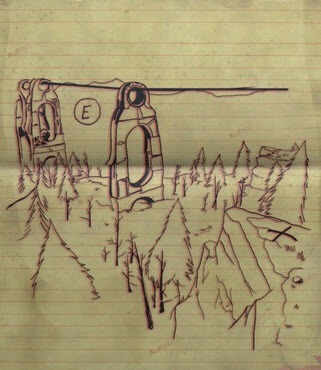 Jump over the railing and approach the cliff until you reach an area near a crashed lift car. 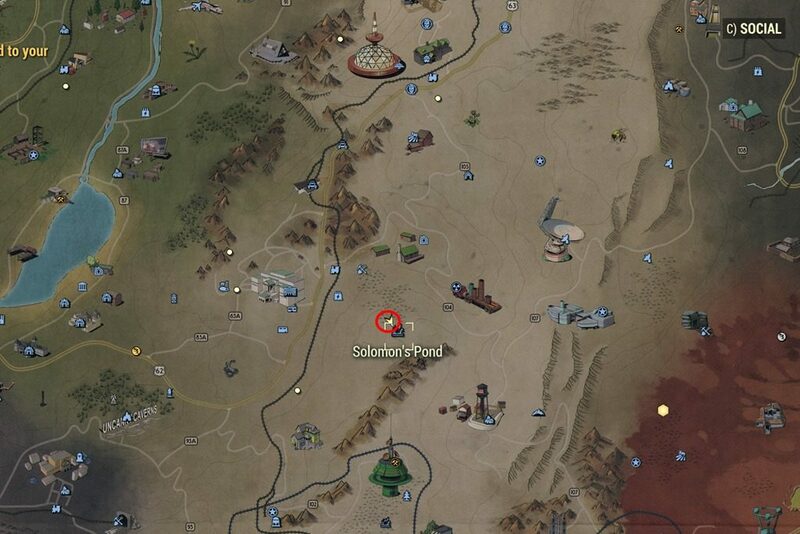 The fourth map in the region can be found in Solomon’s Pond, which should be somewhat north of Spruce Knob. 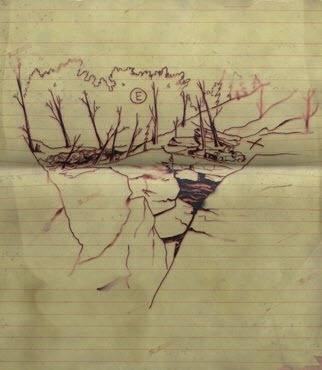 You will find the treasure in the north side of the pond, beneath a small hill, buried under a mound. 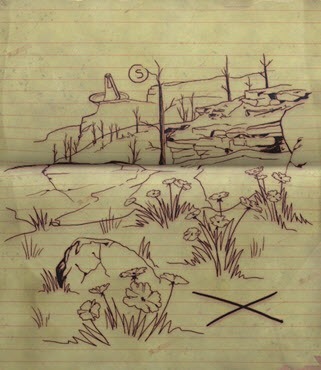 The fifth treasure in the area should be on a cliff above Blackwater Mine. 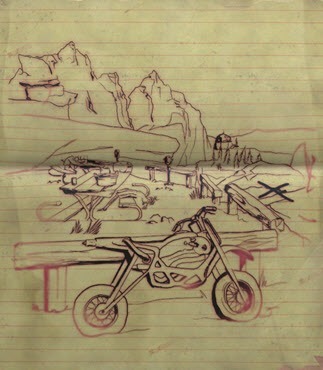 You will find the treasure near the edge of the rocky cliff, under the billboard. 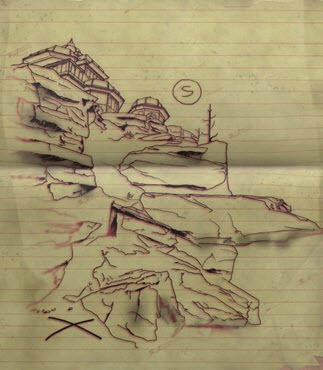 When you reach the areas of the Palace of the Winding Path, climb down the cliffs until you find a mound eventually. 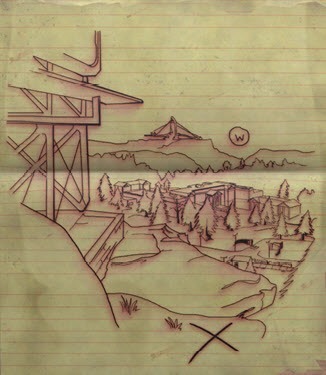 This treasure might be on a rest stop by the road south of the Atlas Observatory. 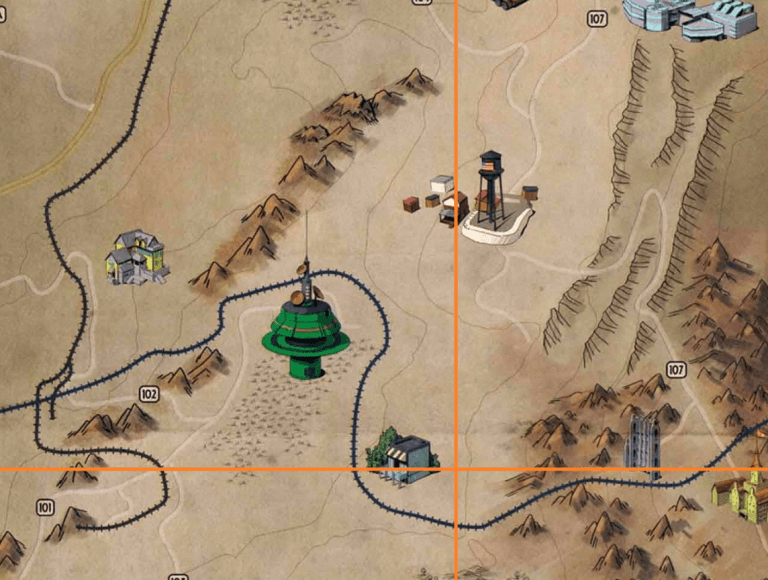 The area you’re looking for is between the road and the railway, near a bicycle. 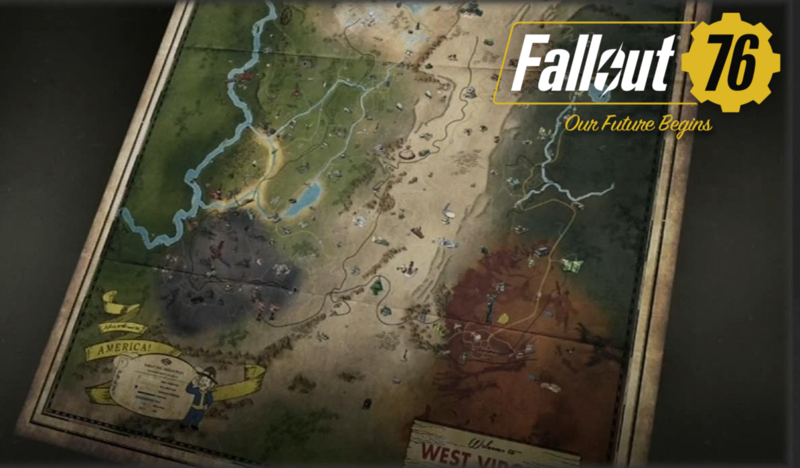 The treasure you’re looking for should finally be in the mountains south of the area. 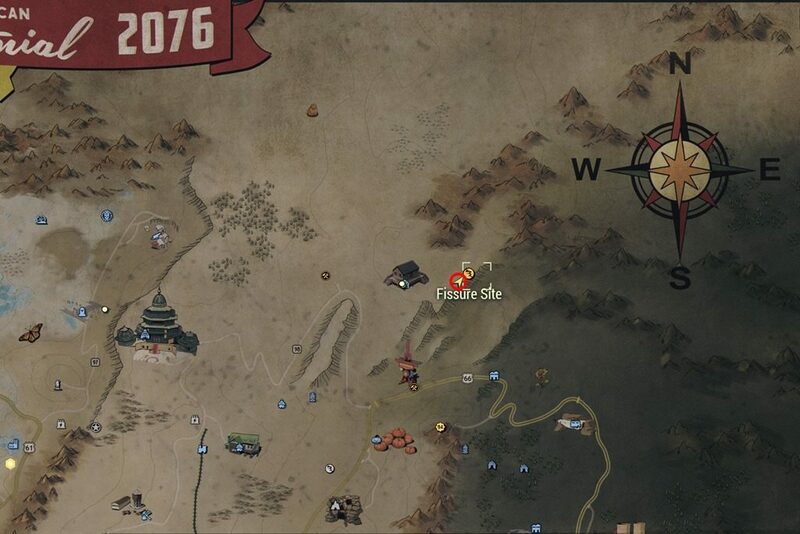 You must find the big rocks on the hill that are oddly shaped and one of them has an empty ring inside it. 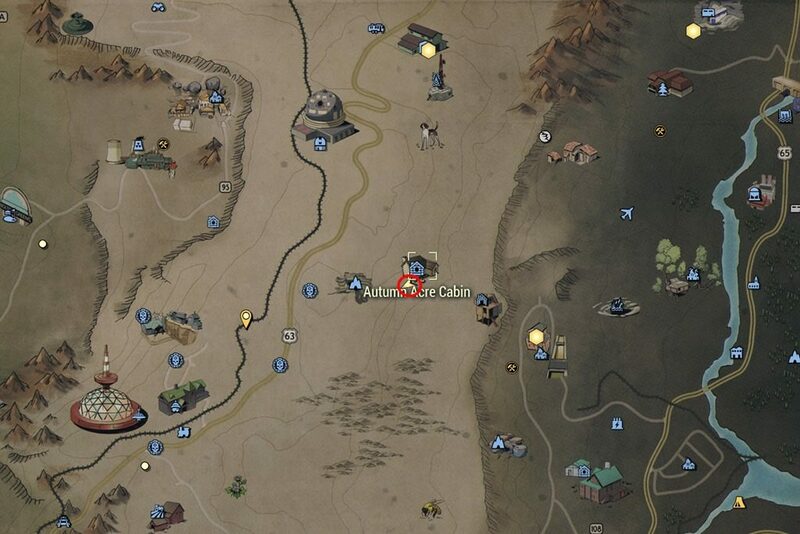 In the middle of Savage Divide zone, just a little south of Autumn Acre Cabin. 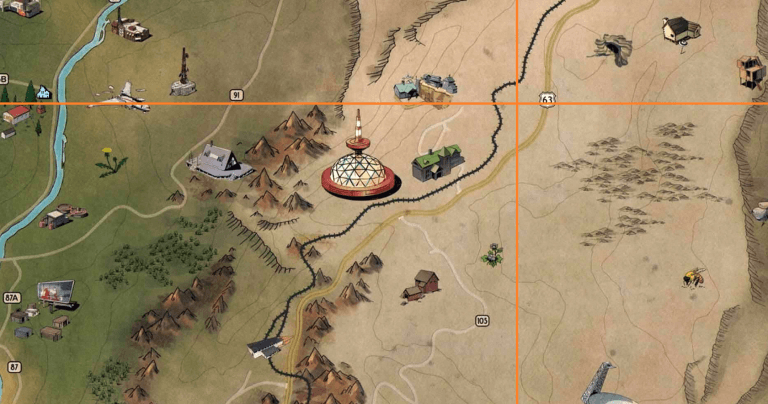 From the cabin, head south and you will find a platform that harbors carrot flowers and a rock. 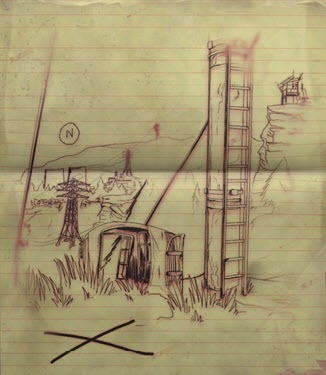 The treasure will be right next to the cliff on the right of the platform, under a mound. Congrats, you have found all the treasures from the Savage Divide treasure maps! 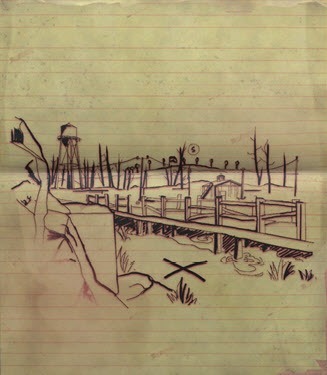 Next to go, the Mire and also Cranberry Bog treasure maps are waiting for you to explore!